“Peace Action is the nation’s largest grass roots organization. It was founded as SANE (later to become SANE/Freeze) in 1957. Promote conflict resolution at all levels. Peace Action’s national headquarters are in Washington D.C. Policies are decided democratically at annual national conferences and through a Board of Directors elected by the grassroots affiliates. 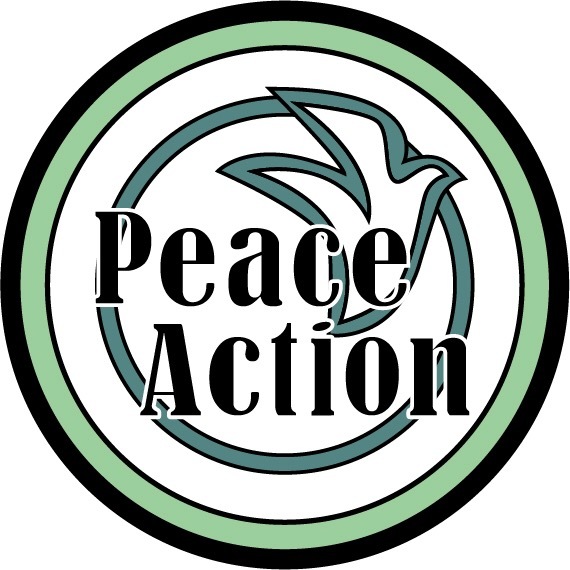 The Northern New Jersey Affiliate – NJ Peace Action, always one of the nation’s most active groups, is based in Bloomfield with chapters throughout the state local communities. We organize at the grassroots level to encourage citizens to vote for candidates who support our views on peace and social issues. Become a Donating Member Today! Peace Action is a grassroots organization which relies on its members as its greatest strength. Your annual dues will go towards building a world where resources are directed to meet human needs instead of preparing for war and where war is no longer an acceptable means of resolving conflict. You can become a member of Peace Action by providing a donation. Donations can be accepted by mail, by phone or online. Click on Donate in order to instantly donate online using a credit card. We are accepting poems and short prose works that are in line with the ideals of New Jersey Peace Action. They will be a part of a booklet celebrating Peace Action’s sixtieth anniversary. There is no compensation other than knowing that you helped to contribute to something good and relevant to today’s world. Please send all submissions to peacepoems@mail.com . All submissions must be in the body of the email. No attachments will be opened. Shorter pieces will have a better chance of being accepted but we won’t turn away anything great. We will accept previously published works if you have the rights to them. In your cover letter please tell us a little about yourself, including whether you are a senior citizen, adult, teenager or child and where you are from. If you could also share your personal thoughts in this cover letter about how to achieve world peace, that would be great. We may publish your thoughts and short bio as part of your submission. We are trying to create a unified diversity, one that reflects the fact that despite any differences we may hold, world peace is a necessary and achievable goal. At this point we are going to reopen to submissions. I will be giving out rejections for those who didn’t make it past the first cut. Most likely if you don’t get a rejection you will be published. I am working in conjuncture with others so that I will not be making the decision by myself. So please feel free to send in submissions again.